The Nigeria-born British boxer will put his WBA and IBF titles on the line against WBO champion Parker on Saturday. Top boxing Promoter Eddie Hearn is backing Anthony Joshua to "finish it inside six rounds" when he fights Joseph Parker in Cardiff on Saturday. The Nigeria-born British boxer will put his WBA and IBF titles on the line against WBO champion Parker in front of a capacity Principality Stadium crowd. 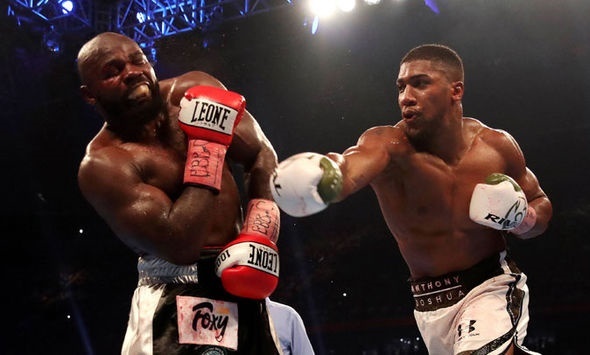 It will be Joshua's sixth world title fight in only his 21st professional bout, and he is widely expected to claim another notable victory. "I thought this fight was going to go late," Hearn said at Cardiff's City Hall on Thursday, when the show's undercard fighters were presented to the media. "But I have got a funny feeling seeing Joshua and his edge this week, that he is going to finish it inside six rounds. "It's a massive fight for AJ, and it's high pressure. "Of course, he has got this reputation of being a massive star, but he is still learning, and to be in these kind of fights this dangerous this early in his career, he's a little bit edgy. "He is ready to fight, and he knows how tough a fight it is. He is ready, he is looking in great shape and I think ready to add another belt to the collection" Hearn concluded.